Break it, bust it, kill it…Most advertisements are boring. 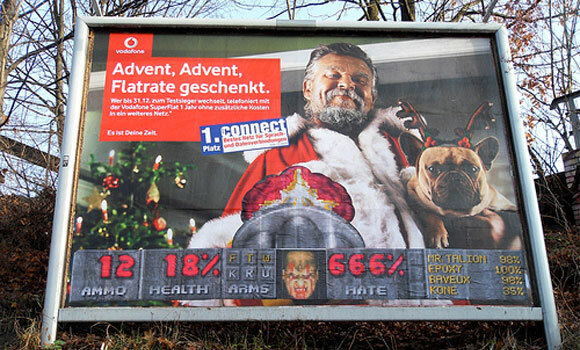 Luckily, some Germans are taking steps to amp up the experience by incorporating DOOM graphics into billboard ads, effectively upping their cool factor exponentially. 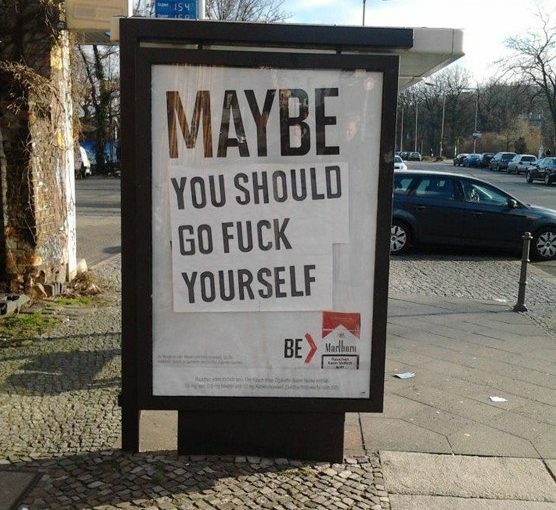 Great Photoshop Adbusting of a boring advertisement which you see everywhere in Berlin, Germany: Britney Spears, Leona Lewis and Christina Aguilera selling their albums. The adbusting was done by the FTW crew (Mr. Tailon, Baveux Prod., Kone & Epoxy) and consists of overlaying the image with stickers from Adobe Photoshop’s interface panels.